The Shell Fish Buoy Accent Lamp casts a lovely glow in your coastal home. These beach table lamps feature a buoy-shaped base with seashells and rope detail. 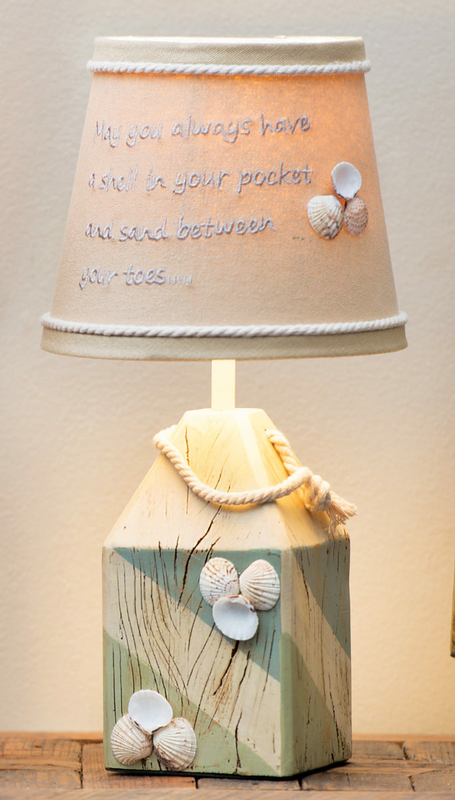 Shell decorated shade with the words "May you always have a shell in your pocket and sand between your toes�"
Ships from the manufacturer. Allow 1 week. Cannot express ship. For even more options, we ask you to spend some time to check out our full collection of beach table lamps at Bella Coastal Decor now.